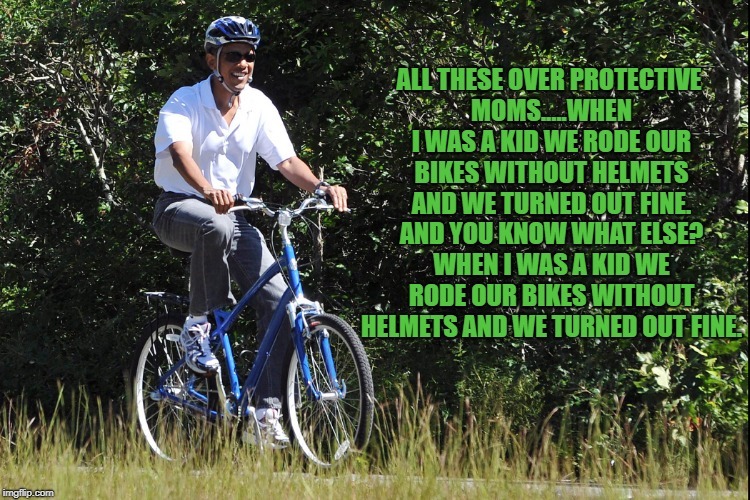 ALL THESE OVER PROTECTIVE MOMS.....WHEN I WAS A KID WE RODE OUR BIKES WITHOUT HELMETS AND WE TURNED OUT FINE. AND YOU KNOW WHAT ELSE? WHEN I WAS A KID WE RODE OUR BIKES WITHOUT HELMETS AND WE TURNED OUT FINE.